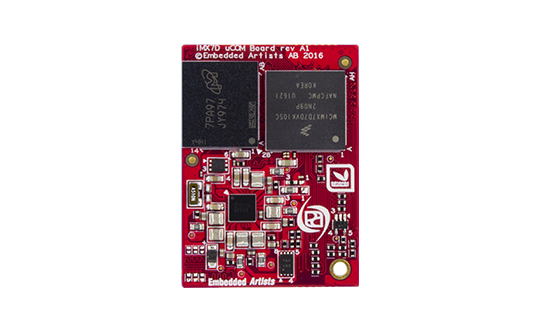 With its exceptionally small 27 x 37 mm footprint, this application processor module is a perfect fit for portable connected multimedia devices. 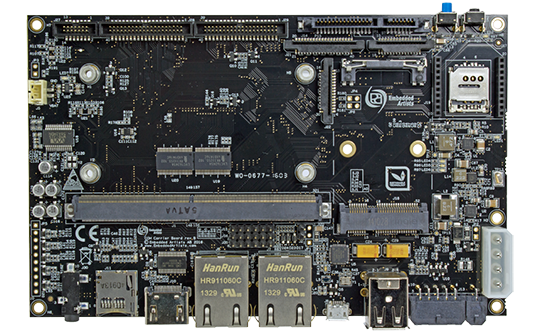 The iMX 7Dual comes with two Cortex-A7 cores and one Cortex-M4 core. This combination of different cores allows a feature rich OS, like Linux, to run on the Cortex-A cores while a Real-Time OS such as FreeRTOS can run on the Cortex-M4 core. Combining the processor with LPDDR3 memory and an efficient PMIC results in a very low- power module. The PMIC has built-in battery charger functionality. The HMP architecture can reduce the power even more by letting the Cortex-A7 cores sleep until needed. The Cortex-M4 can wake them up on demand. The module is based on NXP’s energy efficient i.MX 7Dual processor which has two Cortex-A7 cores capable at running up to 1 GHz and one Cortex-M4 core capable at running up to 200 MHz. 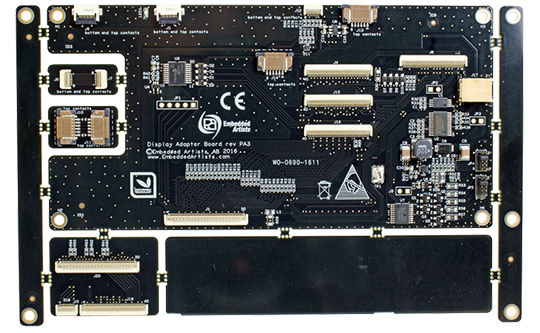 The iMX7 uCOM board is available in industrial and commercial temperature ranges, -20 to +85 / 0 to 70 degrees Celsius, respectively. The industrial (temperature range) version is suitable for always-on applications.